As coveted as new smartphones are, they can look pretty boring as they all resemble thin slabs of black glass. 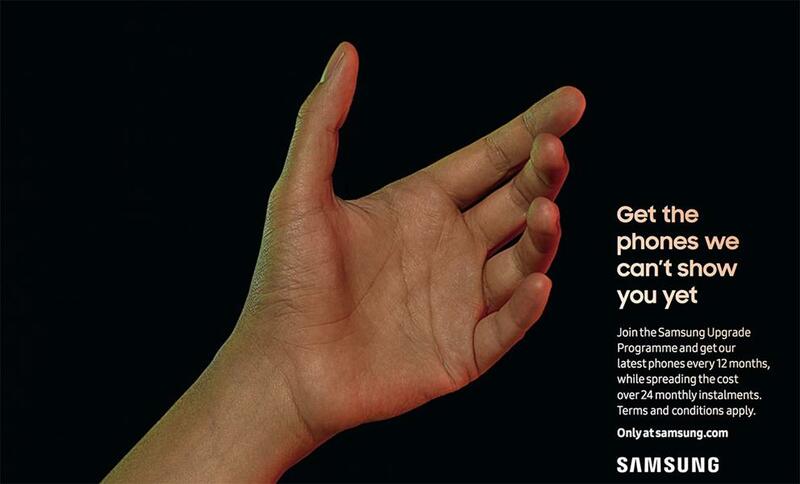 So Samsung has decided to just show an empty hand, inviting the user to imagine what could be instead of what is. The work was created by David Lasar and Thibault Michal at BBH London.